Being a faithful member of First Baptist Wherever, under a hard-hitting expository Pastor with a beautiful balance of Dispensational/Calvinist/Reformed/Liturgical doctrine does not provide one locus of disciple-making ingredients. We make Disciples of Jesus Christ. To do that, you must first be a disciple of Jesus Christ. Do you follow Him – meaning, do you know Him as He reveals Himself in the Scriptures alone? Do you then treat Him in the proper manner based on that revelation – this is the stuff of humble (sometimes humiliating) worship and submission, delight, adoration of God, the Holy. The Gospels are replete with false disciples who came to Jesus for the wrong reasons – as a healer, feeder, prophet, teacher, leader, etc. He is God – He is the Lord. In your obedience, do you find the Spirit drawing you deeper in making much of Christ, or are you still living for Him to make much of you? 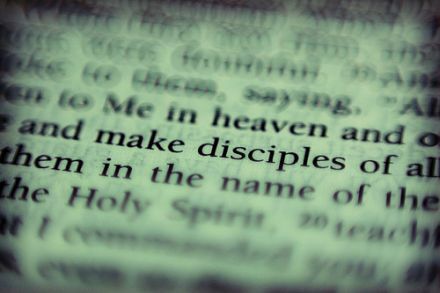 I have seen countless materials from various Christian publishers that call a person to be a Disciple so they can (and seemingly only can) make other disciples. Christianity is not a multilevel marketing company where the goal is to get as many people/points as you can under you so you can be promoted to Diamond Christian and get your heavenly BMW and a better place in your ziggurat in the sky. No! We will worship in eternity future and we must start that now. We live and sing and read and evangelize as an act of worship. As Paul says in Colossians – He is our Life, and again in Philippians. This is because He IS life. So, hunker down in this first point in disciplemaking. 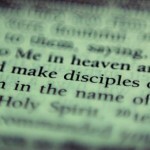 To make disciples, you must yourself be a disciple of Jesus Christ. If this is troublesome, it could be because there is a problem.